If you’re paying for replacement parts yourself, it can be tempting to choose aftermarket parts over Mopar OEM parts, but that’s a mistake. Mopar OEM parts offer drivers a great deal more for their money than cheap aftermarket alternatives, which often lack the quality and construction common in Mopar OEM parts. Read on to get a brief overview of the differences and learn why you should always look opt for quality Dodge, RAM, and Jeep parts. Why Choose OEM Parts Over Aftermarket? Fit: It’s not uncommon for aftermarket Jeep parts to be marketed as “universal”. After all, Jeep is a name that’s been around for a long while. The problem with buying “generic” Jeep parts, however, is that they seldom fit as advertised and often require adapters or modifications. OEM Mopar parts are guaranteed to fit your vehicle. Quality: Dodge and RAM trucks are meant to work hard and so should their parts. OEM parts are designed to be equal in quality to the original parts they’re replacing and should work as hard as the originals, unlike aftermarket parts. Protection: When you buy aftermarket parts, you’re typically covered against manufacturer defect only until the part is installed. So, if it breaks a week later, you’ll be stuck buying a new one or fighting with the parts house for a replacement. Many Mopar OEM parts are covered by long warranties that offer replacement of the part for 12 months – or longer – after the purchase, protecting you should the part fail under normal use. Easy Ordering: When buying aftermarket parts, you often have to guess if the part you’re getting is the right one for your vehicle year. When you order OEM parts, you simply provide the parts department with your make, model, year, and trim and they’ll pull the right part every time. Resale Value: If you’re planning on selling or trading in your vehicle down the road, OEM parts are the only way to go. Repairs made with genuine Mopar OEM parts help the vehicle hold more of its original value than cheap aftermarket alternatives – putting more green back in your pocket in the long run. You can take advantage of coupons from our service center to help you save more on the purchase of the replacement parts you need. Whether you’re searching for brakes or batteries, you always want to go with genuine, quality parts that are built to last. Contact our parts department today to keep your Dodge or Jeep running smoothly for years to come with genuine Mopar OEM parts. At Juneks CJDR, we have experienced personnel all around, from sales to our service center. Come visit us today near Gillette to learn more! Is there a way to tell if a part is a Mopar OEM part or after market? When you see a mechanic (other than Dodge), they may tell you it’s a Genuine Mopar part and then install an aftermarket part. So how can you tell if a part is Mopar OEM or aftermarket? It will typically have a Mopar or a Magnetti Morelli logo on the part. Some parts do not have room for a logo, in which case they may have a sticker on it with the part number. 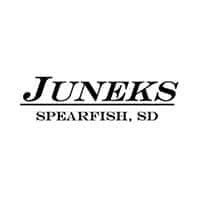 At Juneks in Spearfish, well over 90% of our parts sold are OEM, any time it is not it is defiantly disclosed, and can be identified on the invoice as a non-OEM part.